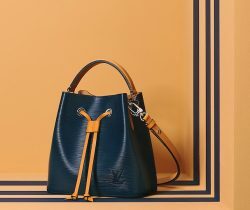 Introducing the Valentino Spring/Summer 2019 Bag Collection. The latest designs in this collection were first presented during the runway show. These includes the.. Introducing the Valentino Spring/Summer 2019 Runway Bag Collection. The show opened with sleek black ensembles, followed by white and red dresses, then comes..
Presenting the Valentino Spring/Summer 2018 Bag Collection. Valentino introduces new styles this season, that were first presented during the runway show. The brand.. Introducing the Valentino Camoushuffle Collection. The new camouflage design is part of Valentino Men’s Pre-Fall 2018 Collection. It features the camouflage pattern in..